Sheriffs and other first responders depend on high speed internet, or broadband, to effectively do our job. Law enforcement officials need quick and reliable communication networks. Equally, the public needs these networks to communicate with us. These communications become even more critical in times of disaster or emergency in remote, rural areas. Yet, as many of you well know, there are huge swaths of Virginia unable to access the internet and an estimated 660,000 homes and businesses without access to the internet. This is unacceptable. 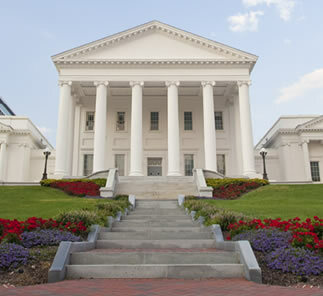 That is why the VSA, along with the Virginia Association of Chiefs of Police, the Virginia State Firefighters Association, and close to 40 other organizations have made broadband one of our priorities this General Assembly Session. We ask that you contact your representatives in the General Assembly and ask for their support for $50 million in investments for Broadband in this year’s budget. This investment, supported by decision makers on both sides of the aisle, is critical to helping Sheriffs do our jobs and making the Commonwealth a safer place to live.